May 31, 1862. At the Battle of Fair Oaks, or Seven Pines, Confederate Gen. Joseph E. Johnston was badly wounded. Jefferson Davis appointed Robert E. Lee to succeed him. Lee renamed his force the Army of Northern Virginia. George B. McClellan, commander of the Union Army of the Potomac was pleased by the change because, ironically, he considered Lee “timid and irresolute in action.” In fact, it was McClellan who was hugely — even disastrously — timid and irresolute, and Lee who was bold and assertive. June 7, 1862. On this date Congress passed “An Act for the Collection of direct taxes in Insurrectionary Districts.” The purpose of these taxes on real estate was not only to raise revenue, but also to punish traitors. The taxes had to be paid in person. A tax of $92.07 was levied on Robert E. Lee’s land and handsome mansion in Arlington, Virginia. His wife, Mary, stuck in Richmond by the fighting and poor health, sent her cousin Philip R. Fendall to pay the tax in Alexandria. But the authorities would only accept payment from Mary Lee herself. They declared the property in default and put it up for sale. The Lee mansion and surrounding property were sold at auction on January 11, 1864. The only bidder was the federal government, which offered $26,800, lower than the assessed value of $34,100. When the war dragged on and Union casualties mounted, military cemeteries were needed, and Meigs thought of Lee’s estate. 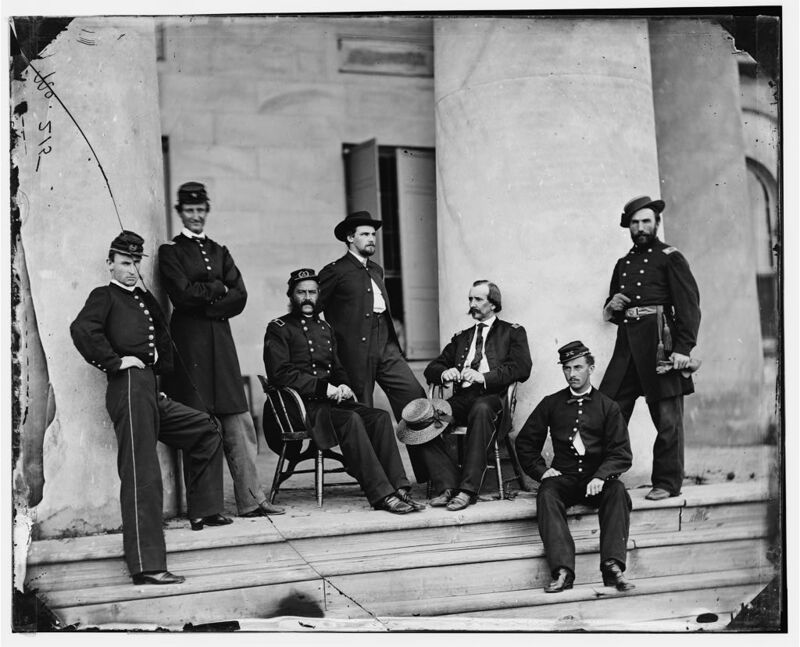 Meigs, “a fellow West Pointer who had served amicably under Lee in the engineer corps,” felt passionately that Lee and others who had turned their back on their officer’s oath to support the Constitution should be punished most severely, ideally by death. At first, soldiers were buried in a corner of the property and other remote locations. But when Miegs learned this, he evicted the Union officers from the Lee mansion and ordered that graves be located immediately around the mansion, including individual graves and a mass grave of 2,111 unknown soldiers in Mary Lee’s garden. His purpose was to make it difficult to move the graves and therefore highly unlikely that the house would be returned at a later date to the Lee family. Despite years of effort trying to reclaim the property, legal ownership of the property was still contested when Robert died in 1870 and Mary died in 1873. Lee’s eldest sun, George Washington Custis Lee, known as Custis, sued and won. The federal government appealed the decision to the Supreme Court, which, on December 4, 1882, decided, in a 5-4 majority, for the Lees: by requiring that the “insurrectionary tax” be paid in person, the government had deprived Custis Lee of his property without due process of law. In the end, Custis Lee agreed to sell the property to the government for its fair market value — $150,000. He conveyed title to the government on March 31, 1883.